Marissa, a cute young woman of Japanese descent who I worked with when we were deputy prosecuting attorneys greeted me, “Hey Jon, you enjoying playing out there?” She was smiling at me. She led the way and climbed up. I followed right behind her. After much climbing, it felt nice to be near the top. However, a young blonde girl of about eleven or twelve years old blocked the way and wouldn’t let Marissa pass. “Could you get out of the way?” asked Marissa. This wasn’t a question but a stern and direct order that was very unlike her usual sweet-sounding voice that was melodic to my ears. Looking up at them, I could see the girl’s expressions but I couldn’t see Marissa’s face, just her backside. Then the girl moved to the side for us. I wondered why? I wondered what type of facial expression Marissa had given to the girl? Regardless, the girl obeyed. Upon reaching the top of the slide, there was another smaller girl about seven years old with dark brown to black hair and of Caucasian ethnicity who crouched to the side. Strangely, we had climbed so high but the way down the slide actually didn’t look too far down. Nor did it look as scary as I thought it would be. Marissa gleamed brightly and pushed off, sliding down the slide with happiness. I could hear her release sounds of joy as her straight black hair blew away from the middle of her back. I pushed myself off the top and slid down after her. It felt nice, not just the ride with the cool breeze blowing against me but to be able to share this moment with her. Marissa and I walked through the swarm of kids towards the largest slide in the playground. “Hey Jon,” greeted Daniel, another former deputy prosecuting attorney with an ethnicity of Japanese and I believe Korean. He was younger than me. I also worked with him at the Honolulu Prosecutor’s office. He smiled brightly, showing his white teeth. From my time with him, he was always smiling and full of positive energy. “Let’s go to the back of it,” he suggested as he pointed to an area behind the largest slide attraction. I agreed. We proceeded on our trek towards the back of the largest slide where a big crowd gathered in front, either waiting to ride it or cheering their friends sliding down it. In a split second, I was behind the gigantic slide and walking behind Daniel on a clay path that was cut into the gray hill where we stopped and stood, a good distance behind and to the side of the humongous slide. It was much quieter there. I would say it was the most peaceful moment in my dream. “We’re the first in line for an amazing ride,” said Daniel. “An amazing ride will be built here,” he replied. He was so excited for something that didn’t exist yet. Upon noticing the disappointment on my face, Daniel’s smile subsided. In an instant, I appeared back in the Prosecutor’s building again with my mom and Marissa near me. Marissa was again leading the way. To our right, like props were two nurses holding babies on their laps. The first baby looked more like a kid about eight years old but scrawny and frail with a thin torso, thin legs, thin everything. He seemed to be mentally ill because of his uncontrolled talk that sounded like babbling and unusual body movements. He ended up pooping a green liquid on the nurse. It was then that I realized that he wasn’t wearing a diaper. “I don’t think I want to work as a babysitter here,” I whispered to Marissa. We proceeded on. “Come!” Marissa yelled as she dashed into a room filled with puppet-like workers that moved and bounced. I ran after her. There were so many of them, giving us very little space to go through. Some of the puppets were pulled up and down by strings attached to the ceiling. The rest were moving by something attached to the ground. They moved crazily around as we ran through them. I swear I heard these evil puppets laughing at us. Marissa and I ran into an exercise room where all the gym equipment were moving and bending like they were the ones exercising! Living gym equipment. This is so weird. Marissa disappeared from this scene. I was a bit sad. I wanted to spend more time with her, talk with her, at least tell her what an amazing time I had with her. My entire immediate family and most of my extended family attended the wedding rehearsal dinner for my cousin Laura at Alamo, California on 10/14/2018. I have to make it clear, that I’m nothing if it weren’t for my parents and sisters. Now, I have my three nieces who inspire me to keep hustling on creating value for others and making our world more peaceful. On top of that, I’m lucky to have great uncles, aunties, and cousins. I love them all. What has happened, happened, what will happen, will happen. What has happened has happened, what will happen, will happen. But what we can control is what we do in the present moment. Mindfulness and Non-Attachment are two extremely powerful practices that help us to keep moving forward. 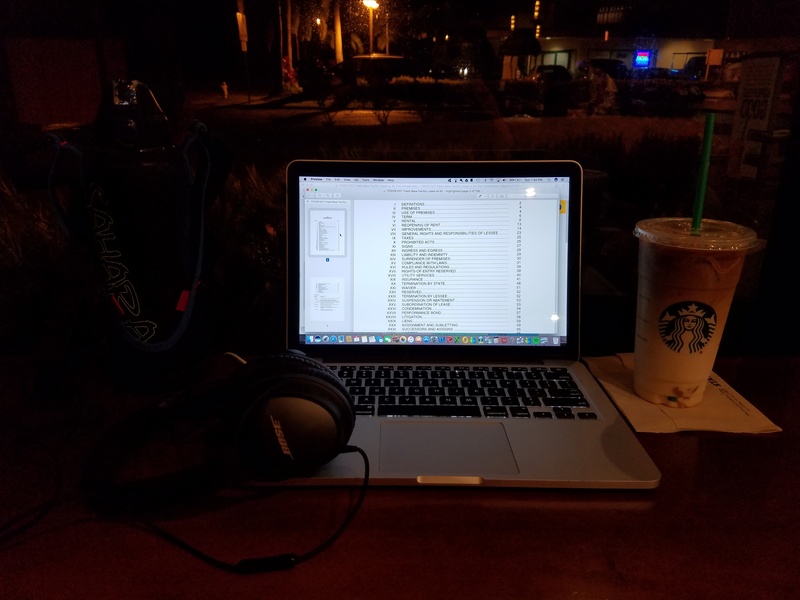 After a busy day of meetings, events, and time with loved ones today, Sunday September 3, 2017, I took a cool shower (sensual therapy) to wake me up, and went to Starbucks (my happy place) so I can get some energy and motivation to continue working on the documents for my business projects. May this post help you to do what you have to do.